Descriptions:You will find three times the fun when it comes to this collection of cheerful Gerber Daisies. Each bouquet comes housed inside a vibrant, colorful vase: Warm and inviting orange, lively and natural green, and majestic and exotic purple. 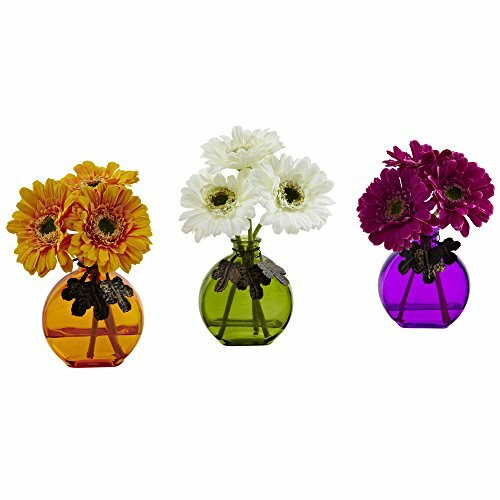 The three flowers that make up each of the vase?s bouquets provide the perfect complement to their housing. Fun, and guaranteed to brighten any room, these selections are an automatic winner.